A medium hairdo is just awesome. It is the most versatile too. As it is not too long or too short, you’re in a position to style it the way you wish. There a number of interesting things which can be tried and done on medium hairstyles. They are very adaptable and that’s why girls and women like them so much. Medium hairstyles have a naughty knack to stick out moodily. Put a stop to that. One way to do it is by using a bobby pin and flipping it over. This would ensure that wavy side stays against your head and does not pop out. You can do a host of things to your medium tresses just by the help of bobby pins. 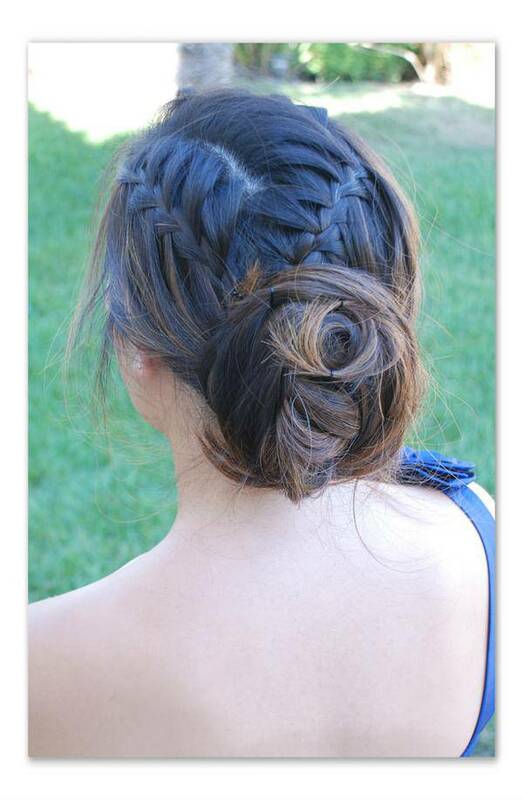 One of the ways could be just piling up your hair into an interesting up do and securing it using bobby pins. Straight hair medium hairstyles can be difficult to manage sometimes. Here’s some advice: roll it into a coil, foil-wrap it and iron-press with a flat iron. This will do your curls good and they will last longer and you will be happier. This hairstyle trick comes in handy if you want to give fullness and volume to your hair. After you’ve curled the hairs, just stack them up on top of the head, spraying some hairspray at the bottom, and letting the curls fall after they have cooled. Here’s a new trick you must definitely try. Make a braid, flat iron it, detangle the hair and let it loose. You’ve got yourself a brand new hairdo with texture and waviness! Braiding is the all-time hit hairdo for medium length hair. To make the braids look more stylish and chic, secure the ends of your braid by sliding a bobby pin upward into the last knot. For a quick formal hairdo, there are few things you could do. You could consider pulling back your hair in a twisted up-style. Stick the bobby pins inwards and you have a neat hairdo ready in no time. Have medium hair which looks lifeless? Have you somewhere to go? One quick remedy is you should comb all of your hair to one side and style it into a braid. The hair ends up looking voluminous and stylish. Pine up your hair at the middle and let the rest of the hair just loosely touch your shoulders. This hairdo is definitely going to up your cuteness quotient several notches. 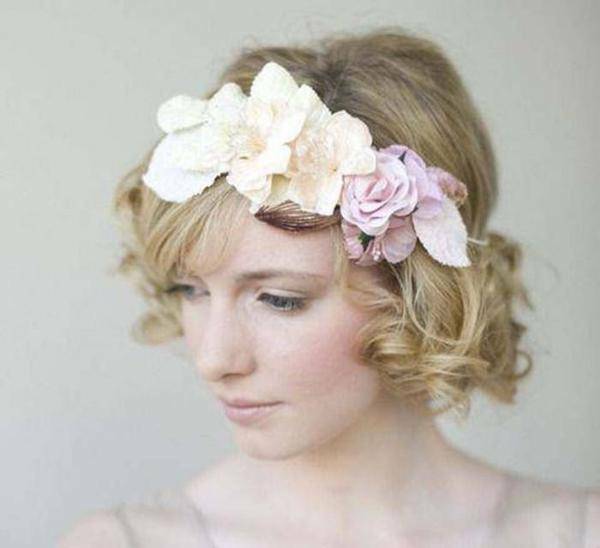 One of the coolest and by far the most convenient ways to manage a medium hairdo is by using a stylish headband. The elastic headband can come in as very handy accessory for keeping your hairdo in place. This one’s a good idea for anyone with curly medium hairstyle. You could easily manage your curls by combing them to one side. Clipping up on both sides should seal the deal for you! As an all time classic hairdo, the vixen hairstyle works wonderfully on medium length hair. It is sleek and very stylish. This hairstyle shines out even more if you have got thin hair. Bobby pins can help fix them better. 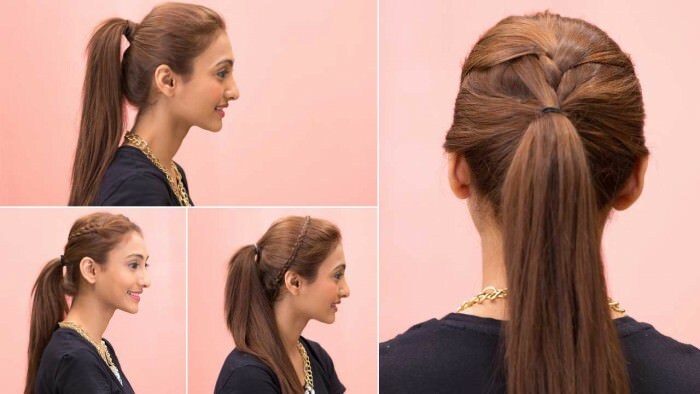 Ponytail your medium hair the stylish way. A popular way to do it: High ponytail your hair and prop it up further using bobby pins. 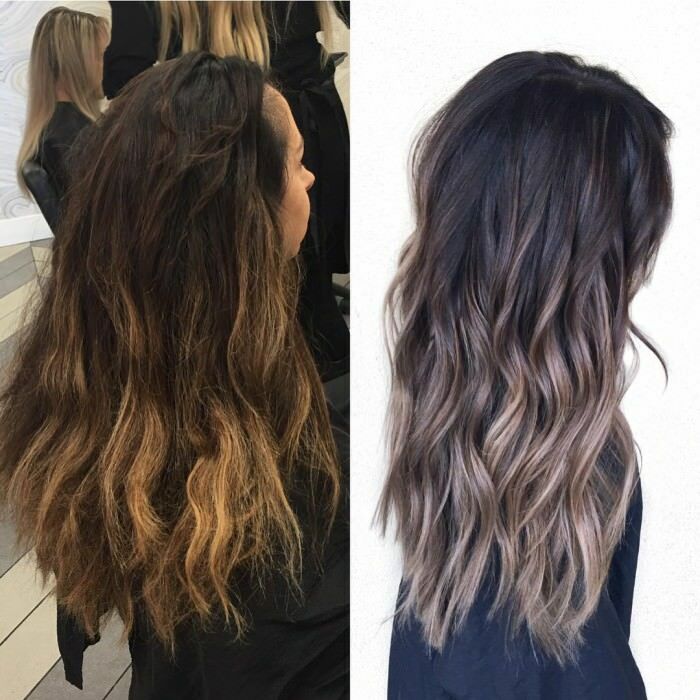 The end-result will make your hair look neat and polished! Make your medium hair appear as more voluminous simply by doing double ponytail. This is very easy to do. Just make two ponytails – one on top of the other. This is a good trick if you want your medium hair to grow out longer. If you’re a fan of updo, then the Chestnut Bun is an apt choice for you. Of course it going to take a bit of effort, but the end result is awesome. This one’s a perfect pick for the summers. If you want to manage your medium hair at work with a hairstyle which is elegance personified, then we’d recommend the Woven Low Bun hairdo. It is formal and looks perfect for a working woman. Yet another classic, the fishtail braid is a fail-proof hairdo. All you got to do is put all your hair into a ponytail and then proceed to making a fishtail braid to keep the hair tight in the ponytail. One surefire way to spice up the appearance of your medium hair is by giving them texture the easy way. Mixing water with a pinch of seltzer water (20 ounces should do) is all you need to do. A definite head-turn this hairstyle, milkmaid braids don’t look very real unless you tease them a little. You can make the braids look even more appealing by running through teasing toothbrush against the braids to lend them a messy texture. If you want to keep your medium hairstyle really simple yet stylish, we’d suggest you try this. 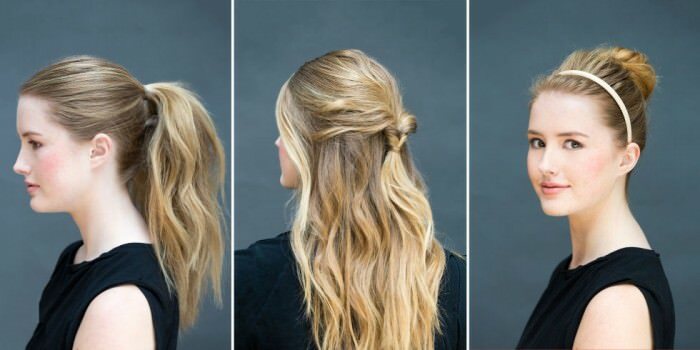 Put your hair into a ponytail, braid it and then finally twist it up into a bun! 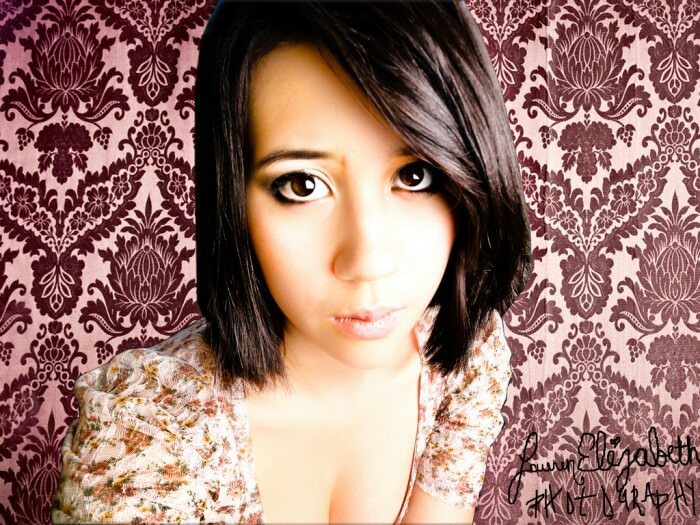 It is absolutely in vogue to have a fetish for medium length hair. Medium hair is fairly easy to manage. There are various superb medium hairstyles for women which you could try this season. We give you a sneak peek into which medium haircuts are causing a storm today. The medium bobs, which became popular in the 20th century, is one of the most classy and elegant hairstyles today. The success of medium bobs haircuts largely gets dictated by your face-cut. Straight and wavy, sleek and shaggy etc – are some of the famous variations you could definitely try. A medium hairdo with bangs is just great. Bangs add a dash of personality to the overall look. Right now, you try the look with heavy one side bang which stops just over your eyelashes. Bangs in your haircut ensure there movement in your style, also it makes the hairdo look fuller. 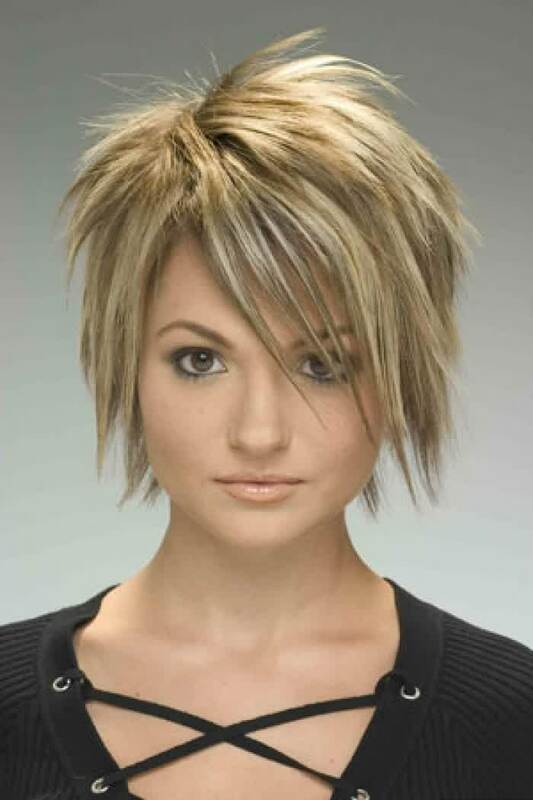 Another popular avatar of medium haircut is the medium short hairstyles. This one’s a layered cut and it gives a sharper look to the face. Ideally these haircuts last between the neck line and the jaw line. Hence the name ‘short medium.’ This is easily one of the modern looks right now! Medium hairstyles for thick hair are very fashionable now. You just need to make you attend to the ends first. Thick hair is obviously very wavy, the ends often tend to look dry and stick out. When styling a medium hairdo for thick hair, you could also consider coloring them. Medium curly hairstyles are quite the rage too today. You can easily have your curls stylized into a medium hairdo which could turn out to be a good option for the summer season. You can do fun braids with the medium curls and top it up with fun hair accessories. Layered hairstyles are a good idea for getting a sharper look. As an example medium layered hairstyles are great. Layered cuts give your hair more volume and help you get rid of split ends. You can stylize the tips with hair products to add more appeal and texture to your locks. Medium hairstyles for men are very popular these days. Irrespective how your hair is – thick and curly, thin and straight, medium hairdos are in vogue. This type of hairstyles is known for adding more character to men’s overall appearance and they are also very easy to maintain! Prom night is a big occasion alright. Everybody wants to look perfect – even those with medium hair. 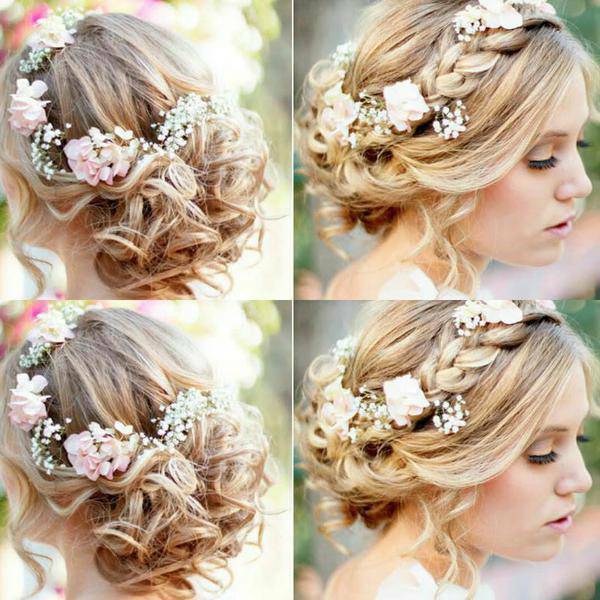 They are many great prom hairstyles for medium hair. 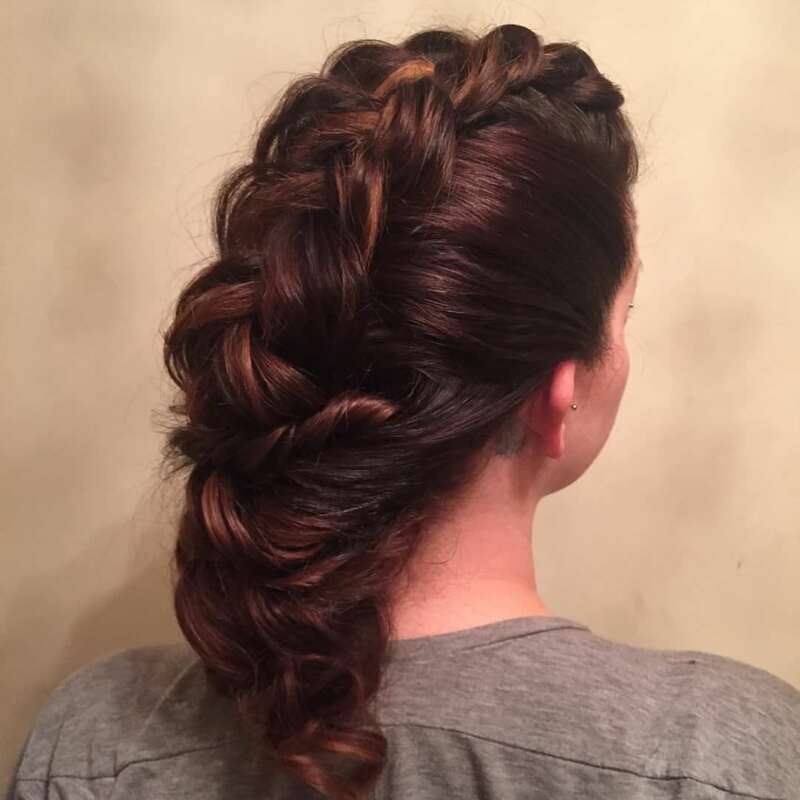 You do buns, knots, braids, multi-component hairdos – which is a mix of two hairstyles – you could bundle up a bun with knots or braids, for example. 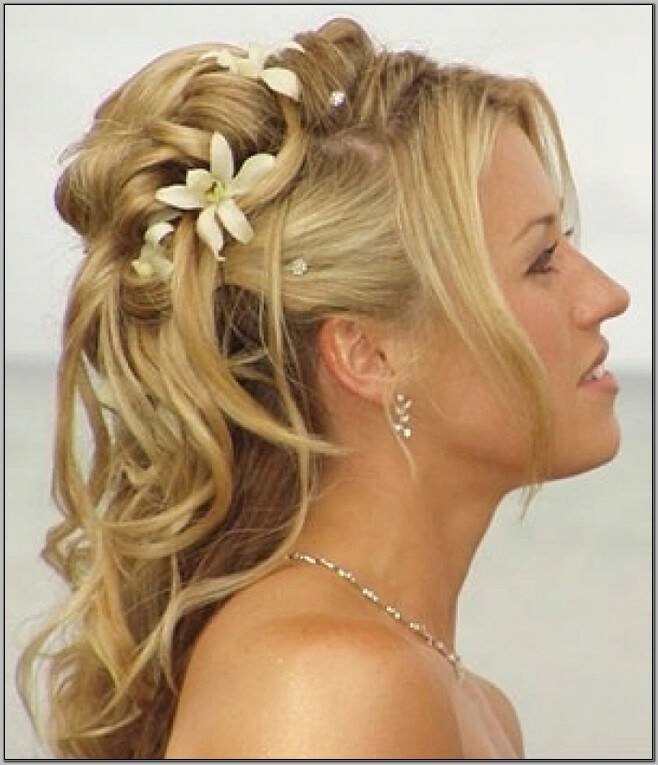 If an occasion calls for a formal hairdo, there are various formal hairstyles for medium hair which you could try. Pulling all of your hair neatly in a ponytail would give you a polished look, for example. Breezy loose curls are a good choice. 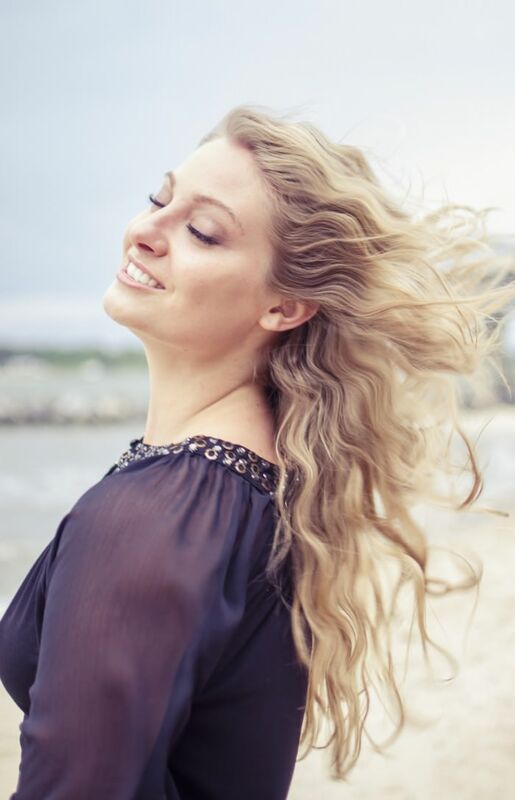 If you wish to add body to your hair natural waves are fail-proof. 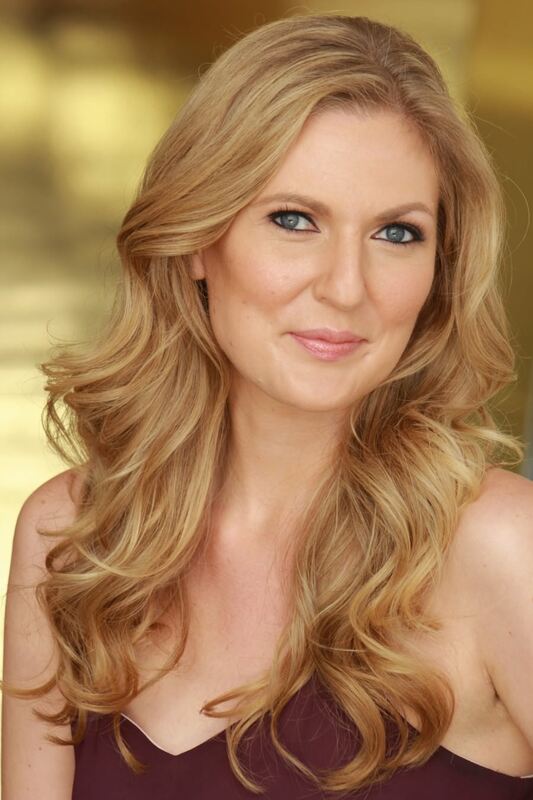 Medium wavy hairstyles are a great pick if you want to try something new on your locks. 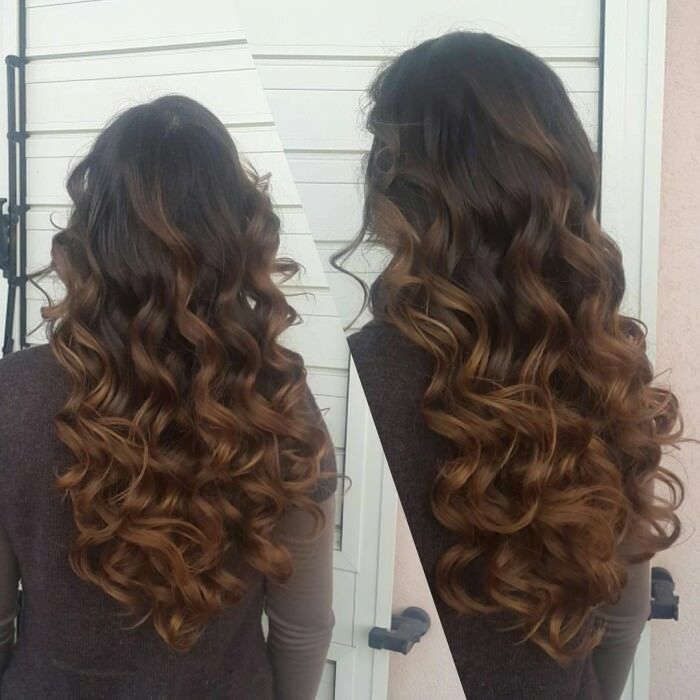 You have choices between wavy layers, tousled waves and side-swept waves, to name just a latest few. To add more character to your hairstyle you could even try to do highlights. 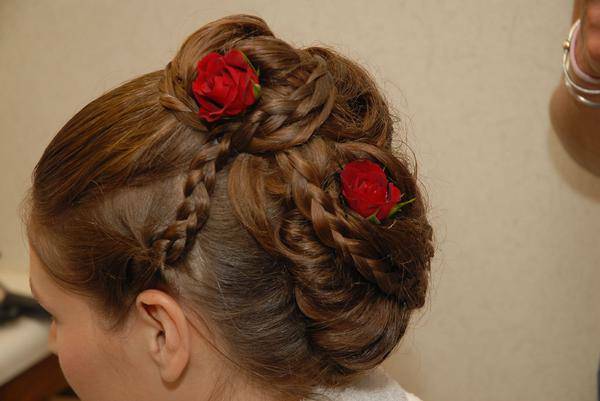 There are many exquisite ideas which have potential as wedding hairstyles for medium hair. You could get a loose updo done topping it with a fancy headband. You could have loosely set bun made of curls, a very trendy idea this. Sleek and straight hairstyles are a good option too! You don’t have to have a dense mane for a good haircut to happen. Stylists can work wonder with thin hair too. There is an assortment of medium hairstyles for thin hair. You could go medium and create layers and texture the ends for more effect. Medium hairstyles for fine hair are very fashionable these days. 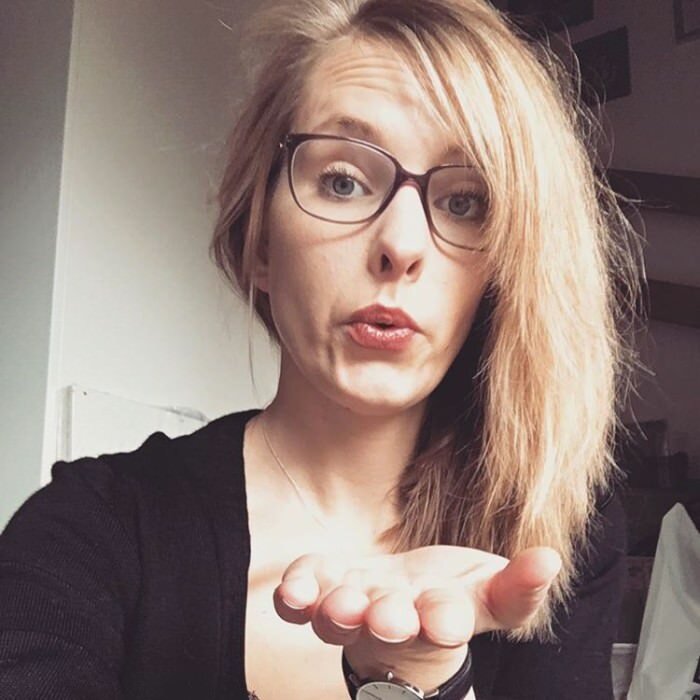 One of the best things you could do with your medium length hair is style it according your face frame and accentuating with bangs and layers. Finish off the styling by applying some hair shine spray to the ends of the locks. In your 30s you want your hair to be styled a tad more differently. Not to worry. There are more than just enough medium Hairstyles for women over 30. You could go all out and get a graduated bob, a blunt lob would be just as cool as well. In you 40s, if you’re choosing a medium hairdo, there are choices galore of medium Hairstyles for women over 40. Popular suggestion today is that women of this age-group should opt for textured haircuts. Layered would be a great choice because they are never faux pas. The present day diktat for medium Hairstyles for women over 50 is very straightforward. Bob and lob hairdos seem to be calling the shots. Choices loom large between stylish medium bob and wavy or center-parted lob. Pick them because these are of course very easy to maintain as well. Black hairstyles for medium hair are innovative and creative. 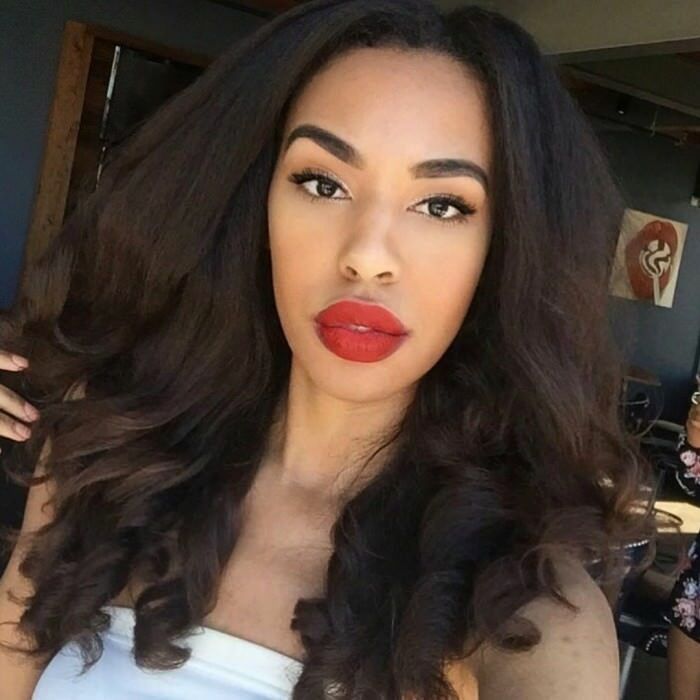 If you want to show off your black hair in medium hairstyles you can choose braid-heavy hairdos, sew-in cuts, or if you like you could try weaves fringes, twirls, twists and curls, they’d look great on your medium cut. For the lovers of choppy and medium haircuts, there’s a huge variety of medium choppy hairstyles to spoil you. 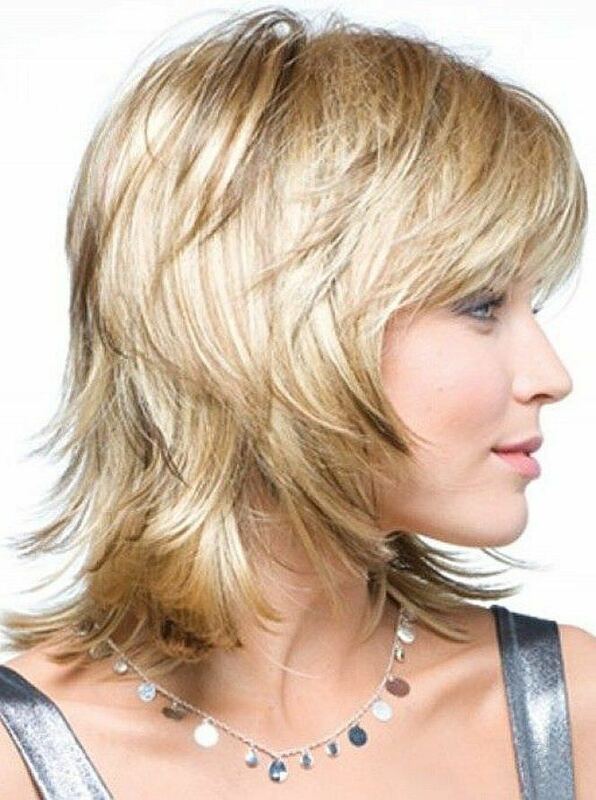 Some of today’s top picks in this category include: Shaggy hairdo with side bangs, layered bobs, choppy bob with wild blunt ends, messy choppy bob, and soft wavy choppy bob. There is really no dearth of ideas for blonde medium hairstyles. You just have to pick a hairdo that sings with your appearance and personality. Blonde hair looks wonderful in medium length. You can get bangs, waves, bob, blunt, lob – just about anything would work and look great! 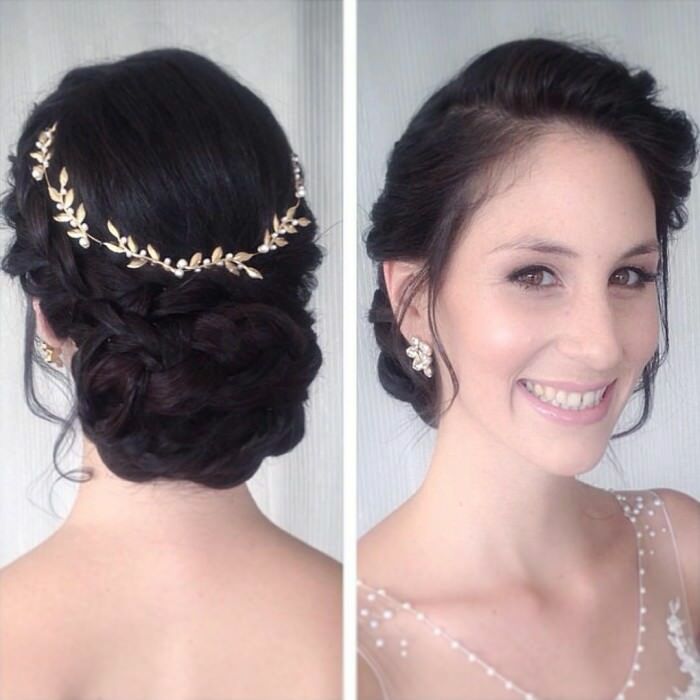 Updo hairstyles are great for formal occasions. Rising popularity of medium hair has let styles to come with Updo hairstyles for medium hair. 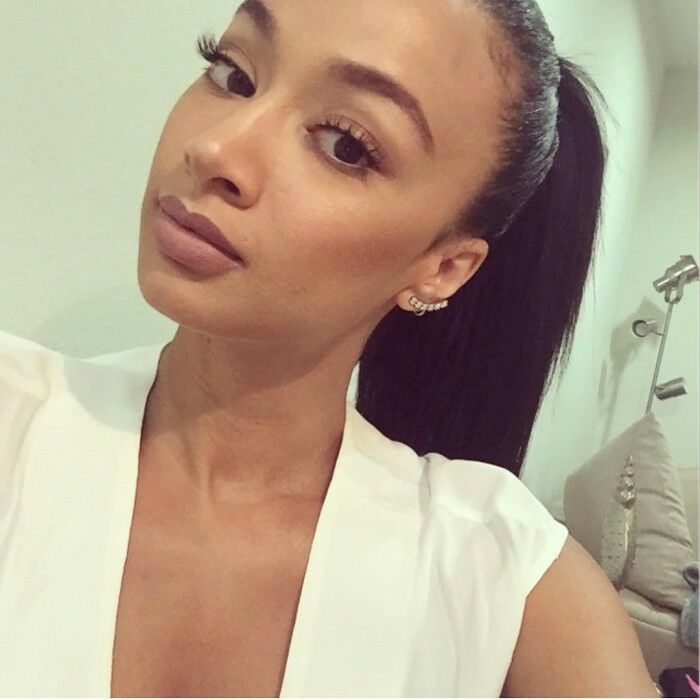 You could try the hair pulled back with a low ponytail twisted edge look as that’s very much in these days. Can’t fail with that! We all have situations where we need to style our medium hair really fast. Some trendy examples of quick hairstyles for medium hair include braids and chignons. Also the twisted hairdo with a fun clip is very popular. These ideas are super quick, easy to do and absolutely fail-proof. Medium shaggy hairstyles are the latest hairdo statement these days. Celebrities are loving it and so should you. Shag haircuts look great on all kinds of hair – straight, curly, wavy, thin and thick. These haircuts have reputation for lending hair volume as well as decreasing it, if needed. Asian medium hairstyles are very cool. A lot of people try to get that kind of hairdo because it is very popular. Most popular styles include the straight layered hair with fringes, a well-round bob with a front bang, short bob which is messy and has side-swept fringes. Braids are an all-time favorite and most convenient hairdo for the women. For all those out there, there are more than just enough braided hair styles for medium hair. 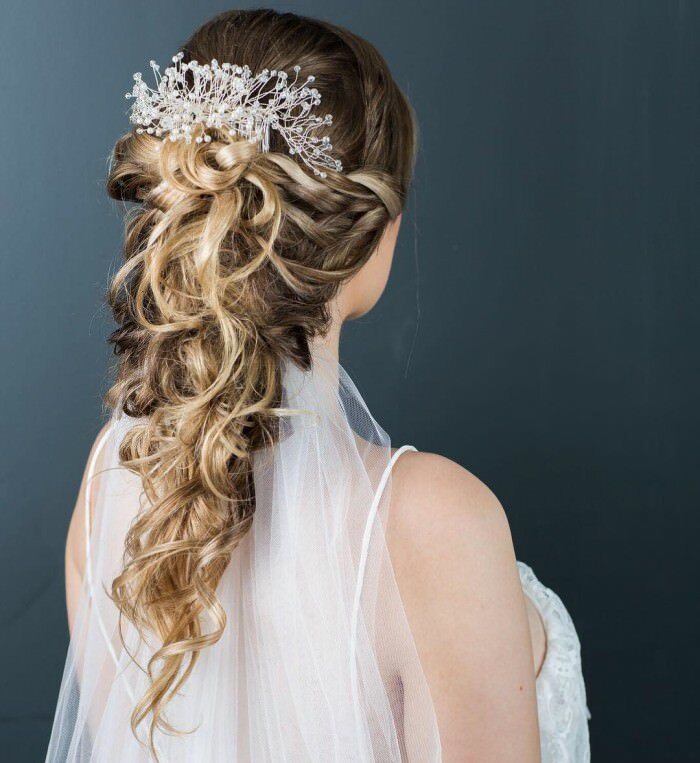 Most popular today are the 70s-inspired braid, waterfall braid, chic boho braid, milkmaid braid, rope braid, and braided hairdo with ponytails. 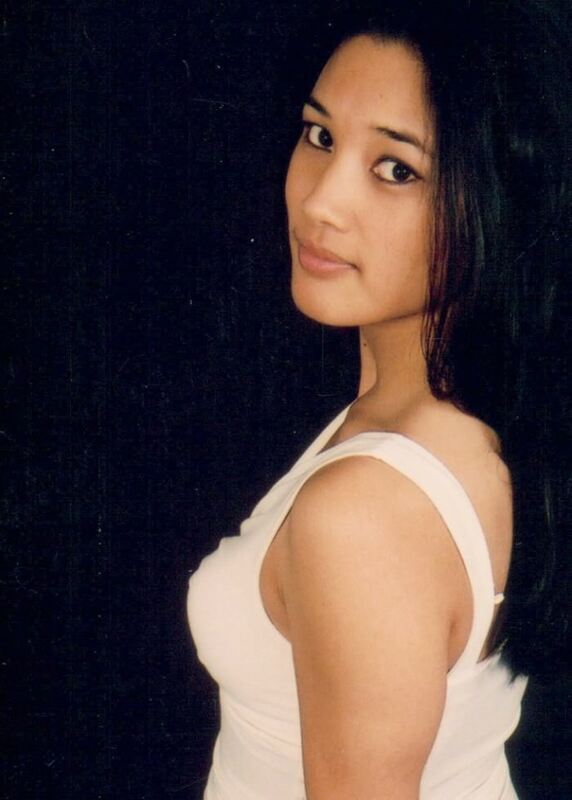 Medium length hair may have gotten bad publicity because it just looks so boring. Well, you can always trust the celebs to turn boring into stylish and fashionable. Women get most ideas for their next hairdo by watching celebrities of course. We give you some famous celebrities with Medium Hairstyles who have made sure medium hair never look like ‘long-dead locks.’ Rihanna’s half-up half down waves have made news. Emma Watson’s side-swept hairdo is a winsome one. Katy Perry’s luscious brushed out curls are inspirational. Miranda Kerr’s super casual hair-parting is absolutely gorgeous and definitely try-worthy. If you have thick hair medium hair, Martha Hunt’s waves will leave you idea-ting! Bored with your medium layers? Check out Diane Kruger’s ringlets we say! Pull off the low ponytail with bangs look by watching Rashida Jones. Blunt ends on medium hair are very cool, see Margot Robbie’s! All of the latest info, trends and ideas you need to know about medium hair is right in front of you. Love your medium locks like always, and style them with the tidbits given up here! Happy Medium hair styling!